If you want to see one of the most infamous, if not famous ice hockey teams in the UK then come on down to Planet Ice Altrincham. 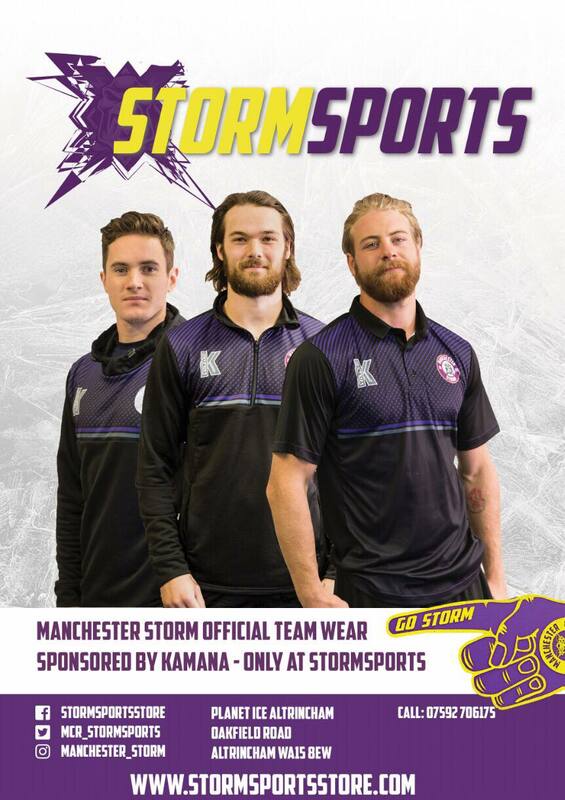 The Manchester Storm will play upwards of 31 home games at Planet Ice Altrincham from September to March and offer a fantastic action packed night of family entertainment. To find out more about Season Tickets, please click here. You can purchase your tickets online click here . Online tickets for home games are only available two weeks prior to the game. Alternatively you can book via the Planet Ice Box Office. If you’re buying tickets for a group of 10 or more, please contact Liam Hesketh ([email protected]) for a discounted rate. It is prohibited to bring food or beverages (including alcohol) into the venue. A variety of food and beverages will be available for purchase within the venue. We may conduct security searches of clothing, bags and other items, as determined by us in our reasonable discretion, including on entry and exit to the venue. Searching is a condition of entry to protect your safety and that of other visitors.